The branding, motivational, and marketing abilities of posters can benefit businesses of all types. They work indoors and out, and they allow you to let your imagination run wild with their versatility. Fortunately, Blue Barrel Signs is available to provide Central Oregon organizations with custom, full-color, digitally printed posters. Advertising Posters – A clever combination of words and images can catch eyes like nothing else. You can pull this off with advertising posters by promoting your latest product or service launch. Full-Color Posters – Full-color prints are now easily attainable at an affordable price thanks to large format digital printing. You can even build your brand thanks to PMS color matching. Motivational Posters – Offices across the country have these posters hanging in them. The reason they have been so successful is that they work at inspiring you and your workers. 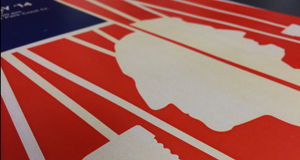 Custom Posters – With custom posters, there are virtually limitless possibilities. You can pick from any sizes, graphics, shapes, and colors. Event Posters – For decades, the best way to promote an event has been with a poster. This inexpensive solution is simple to staple, tack up, or tape anywhere you need it. 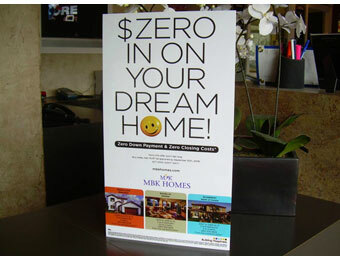 Consider using posters to advertise your next sale, event, or other upcoming promotion. Graphics Posters – Graphics posters can display any photos or images you want. 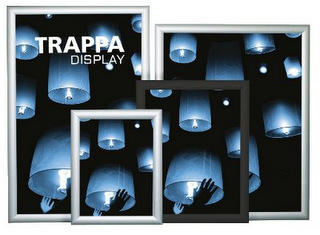 This is the ideal way to showcase your bestselling goods and services. Mouths will water when you get sharp, vibrant posters featuring the best dishes from your eatery. Text Posters – Basically, only words are found on these posters, but they get your message across with their visually stunning presentation. Their uses are as varied as announcing a 50 percent off sale in your store to highlighting your mission statement or core values. These are just some of the alternatives we offer. You can also contact Blue Barrel Signs for black and white posters, band posters, concert posters, educational posters, movie posters, music posters, specialty posters, and more. Do You Really Need Posters? Posters can be beneficial to your business in a variety of ways. When you place them in heavy foot traffic locations, passersby can engage actively with your posters. Whether out of boredom or curiosity, prospective clients will likely notice your posters as they are in line at cash registers, waiting for the bus, or anywhere else. A well-designed poster will motivate the shopper to act quickly, whether it is going to your website, making a phone call, or visiting your storefront. Since posters can be stored easily for use year-after-year, they are the perfect option for events you need to promote annually. They can also be reprinted easily since we keep your designs on file. Blue Barrel Signs happily serves Madras, Redmond, Sisters, La Pine, Prineville, and the rest of Central Oregon from our headquarters in Bend, Oregon. To request a free meeting and estimate on posters for your enterprise, click below or call us today.